William Shakespeare's plays were meant to be experienced live, on a stage. This is, of course, the main challenge in teaching them as literature. Plenty of creative English teachers have found ways around this dilemma, offering students a more interactive experience. Regardless of the play at hand, the goal has always been to make the reading both more engaging and, in turn, more comprehensible. Most would agree: The more our students understand the plays, the more they like them. Today, apps and other digital resources have the potential to redefine how we introduce students to the experience of reading Shakespeare. 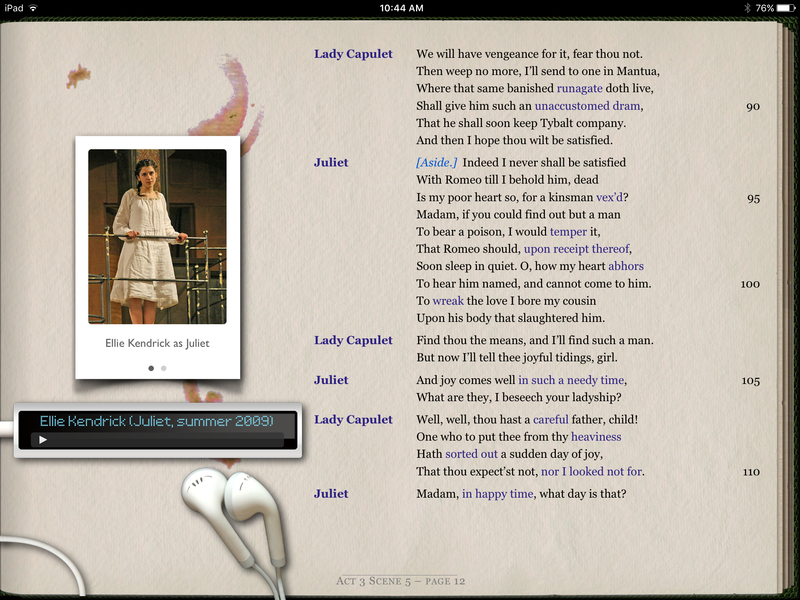 When it comes to Romeo and Juliet, plenty of apps (and a few iBooks) explore the star-crossed lovers' tale through a digital lens. 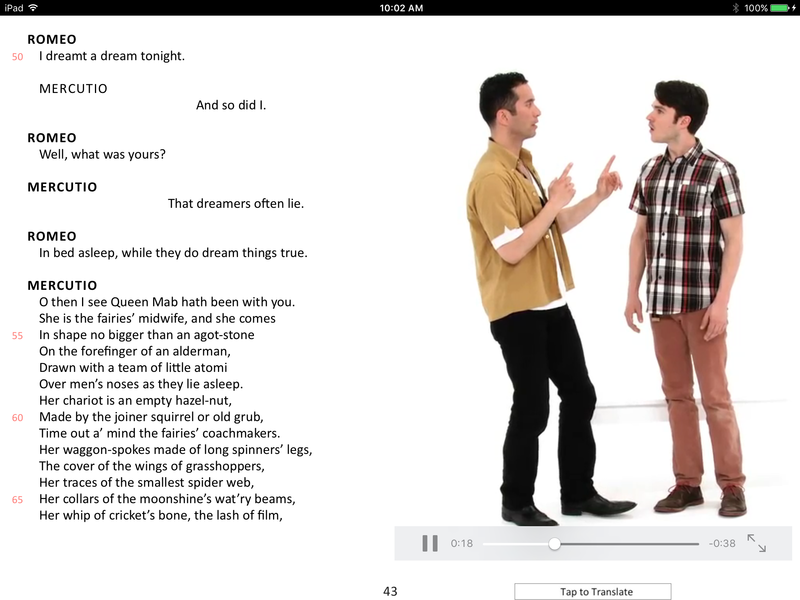 The best of these let students simultaneously read the text of the play right alongside a video performance. However, not all these tools are created equal. Though some could potentially replace​ paper copies of the text, others may or may not have every feature you'd hope to offer students. Most provide the kind of in-text support you'd expect from a digital reader, but some are better at providing this than others. In the end, the best digital tool for your classroom will depend on your students' needs. A rose by any other name smells as sweet, right? And even though Wordplay Shakespeare's Romeo and Juliet (Enhanced Edition) isn't an app (it's an iBook), it's still a great option for iOS. This sleek adaptation offers a more modern take on the tale while sticking to the full, original text. It's likely to appeal to teens the most. However, keep in mind that this version doesn't offer as many built-in reading supports or supplementary materials for context. Shakespeare in Bits lives up to its namesake: It breaks down every scene into short, digestible parts. 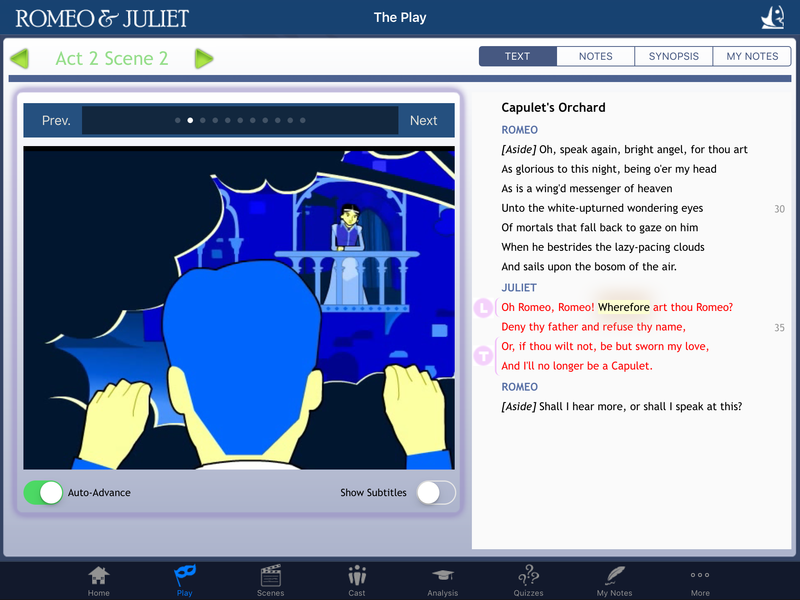 Along with every "bit" or page of the play, students can watch an animated, dramatic rendition of the lines. As the characters speak, their lines are highlighted in the text to help students follow along. Keep in mind that some more sophisticated students may find the animated characters a bit cartoonish. Nevertheless, this app version offers solid reading supports, as well as a host of supporting materials for students and teachers alike. Globe Education Shakespeare's Romeo and Juliet iBook offers a wealth of high-quality supporting materials for the play, and, overall, it might be the best produced of the bunch. However, though the full text of the play is here, videos of the performance don't cover the whole play. Rather, they're brief clips of key scenes. Nevertheless, the clips come from high-quality, Globe performances and are accompanied by high-quality photos and other excellent learning supports. Folger Luminary Shakespeare's take on the play draws upon the wealth of ancillary materials found on the Folger Shakespeare Library website. However, it's important to note that this app's presentation is limited to text and audio, with no video clips. 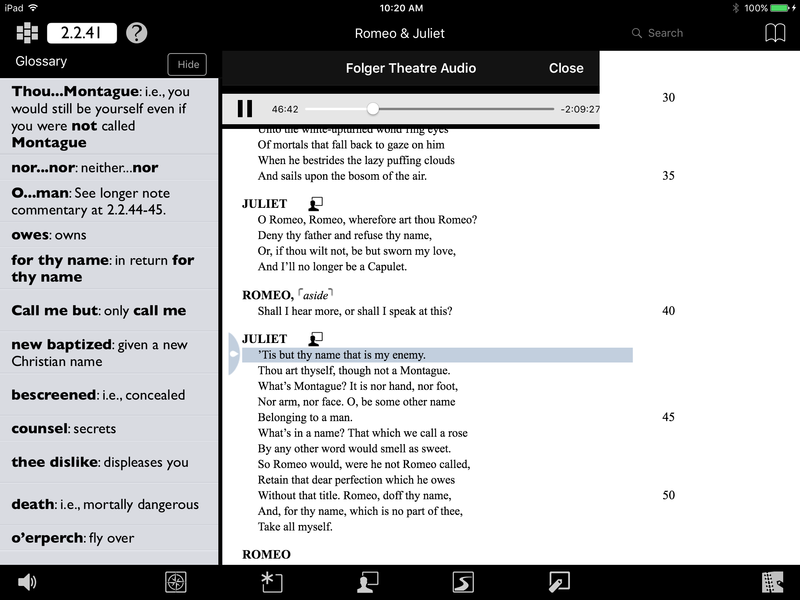 The app's strongest point is the Workshop feature, which encourages students to share their notes on the play; teachers can set up a private network for sharing and discussion among readers.